This book takes us inside the world of sport in Canada. It shines a light on the efforts of a wide range of players, from school girls fighting for the opportunity to play, to politicians and academics defining policy and developing theory. What they have in common is the courage to take chances, make claims and serve as role models. Women’s full physical prowess can threaten assumptions about gender. The struggle to achieve equality in sport has been integral to the feminist mission of the past 50 years. This book contains an inspiring collection of stories from those on the front lines: athletes, coaches, educators, and activists who stuck their necks out to bring about change. To read these stories is to swell with pride over the victories, to empathize with those whose efforts were toppled by discrimination, and to become re-energized to confront collectively the many hurdles left to clear. 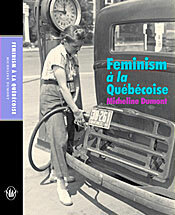 A sparkling history by Micheline Dumont the pre-eminent and very engaging historian of secondwave feminism in Québec. 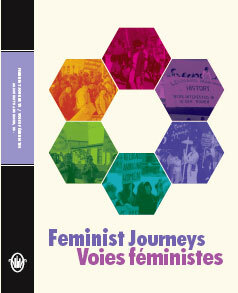 Nicole Kennedy brings her experience as a feminist organizer to bear in this translation for English-speaking readers. 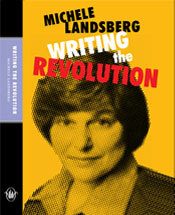 Revisiting what her columns chronicled about the second wave of the women's movement in Canada, Michele reflects on the characteristics, successes and failures of this movement over its 50 years. 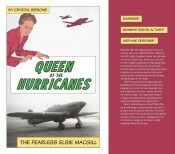 With her trademark blend of kindness, toughness, bluntness and humour, she writes about where we have been and where we should go. In response to an open call, women from all parts of Canada tell how they made the connection between their girlhood or womanhood, and what was happening in their lives.